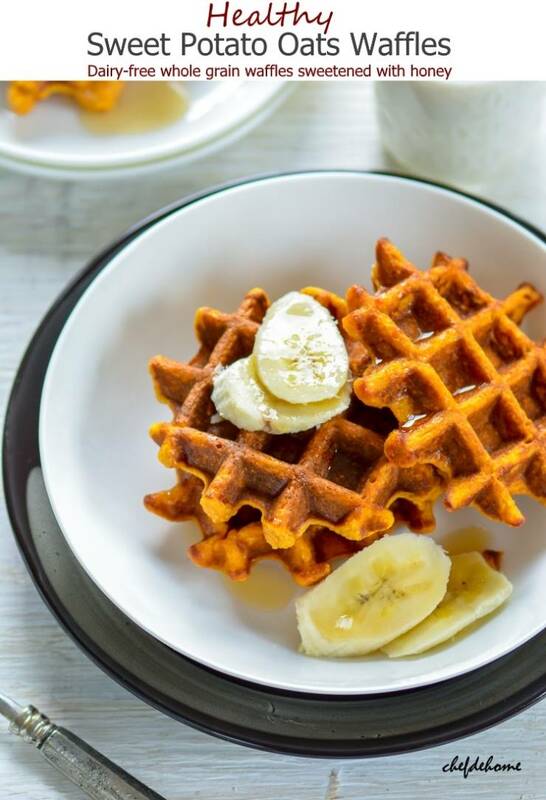 Whole Grain Oats and scrumptious Sweet Potato meet unsweetened Almond Milk and a touch of honey in these dairy-free, healthy and heart healthy breakfast waffles. Oh, and these waffles are real good news for everyone who wants to feed oats to their family ... and family is not ready! Trust me, I have similar picky-eater in my home too who will always say "no" to oats but will readily say "yes" to Waffles! 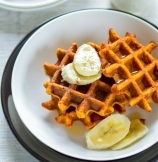 This waffle recipe is also good news for early-morning-time-crunch-yet-need-healthy-breakfast team. Then, no matter who does not like oats... if anyone likes Warm Golden Waffle Dressed in Mapple Syrup and topped with sweet sliced bananas? The breakfast is "This is THE Best Breakfast Ever"! 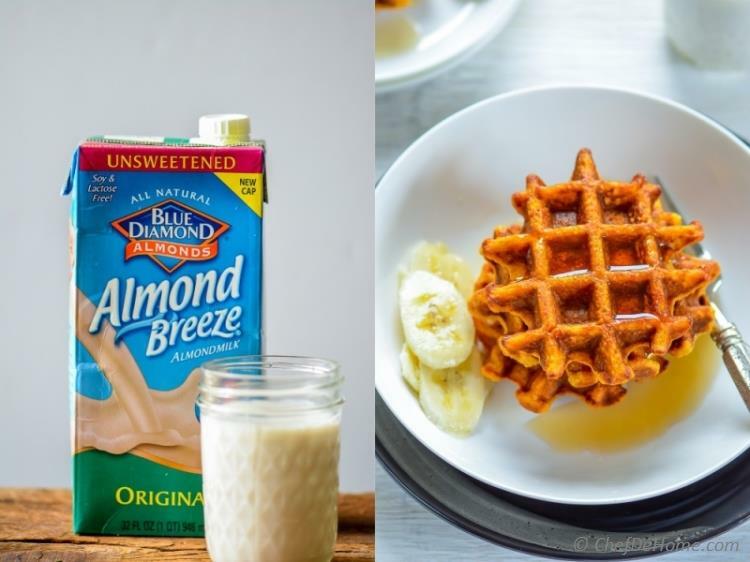 I have been waiting to bring sweet potatoes to make some healthy and dairy-free Oats Waffle.. A carton of unsweetened natural Almondmilk from Blue Diamond Almond Breeze fueled my thought to try these waffles last weekend. The beautiful thing about this almondmilk is that it is unsweetened, all natural and tastes absolutely delicious. Also, what sounds better than a heart healthy breakfast for your loved ones which is packed with beta-carotene from sweet potato, whole grain oats, and is also dairy-free? To me it sounds like an awesome morning meeting with "health". Actually, in my husband needs a special reason to eat oats. I mean, the simple oats and milk is not for him. I often make Oats Porridge with Quinoa and that he adores. I was surprised when one day he asked me to buy some pre-packaged oats cereal for breakfast. I did bought few and made for him for breakfast. After just one spoon, he was like - Which brand do you make earlier? This tastes nothing like the one you gave me with cranberries and almonds? And I started laughing... This shows my dear husband that you need to step into kitchen sometimes because that was homemade Oats and Quinoa Porridge. lol!! 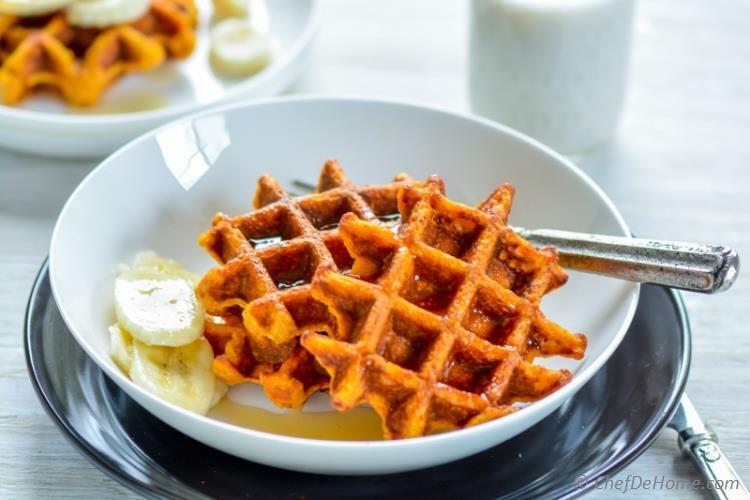 Actually, oats once blended with Almond Milk and Sweet Potato became very soft and almost disappear in the batter once waffles are cooked..... Leaving behind a little nutty texture and scrumptious sweet potato flavor. 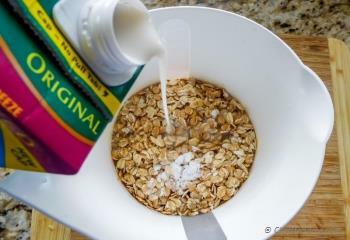 Also, if little texture is not okay, fine quick oatmeal can be used instead of rolled oats. Just pour a portions size per waffle-iron (pre heated) (1/3 cup mostly works for my Waffle Iron). Then close the lid, let the waffle iron indicator turn green. And then I check. If I want to crisp-up waffles a bit, I continue for 1 more minute. My trusty way to know waffles are ready is when steam stops escaping from sides of waffle iron. Oh, and I usually pre-heat the oven at 300 degree and pop up the cooked waffles in until I'm ready to serve. Honestly, waffles are best when served warm. A cold waffle is no good. Once ready, just serve it up with your choice of toppings. I love sliced banana or a some stewed strawberries. 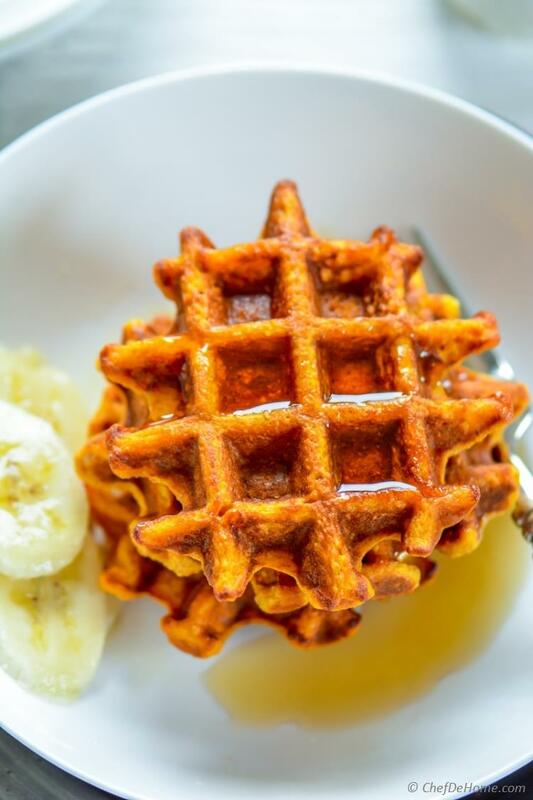 Hope that these Healthy Oats Waffle glowing with sweet potato hue will turn'em to Healthy Breakfast Lovers too! Love Waffles? 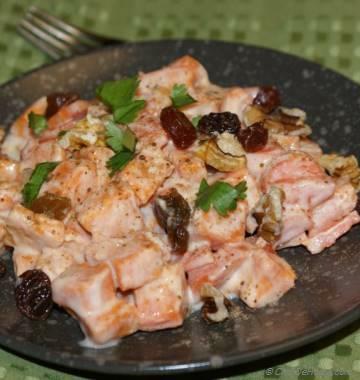 How about these delicious recipes? Total Time 15 minutes Prep Time 5 minutes Cook Time 10 minutes Difficulty Easy Yields 6 Medium Waffles Serves 2 Notes Cooking time vary based on type of Waffle Iron used. 1. Set waffle iron to preheat. In blender jar, add all ingredients and blend until fully pureed. For best results, set aside batter for 10 minutes. 3. Waffle is mostly done when steam stops coming out of waffle iron. 4. Serve with maple syrup and fresh chopped banana. Enjoy! 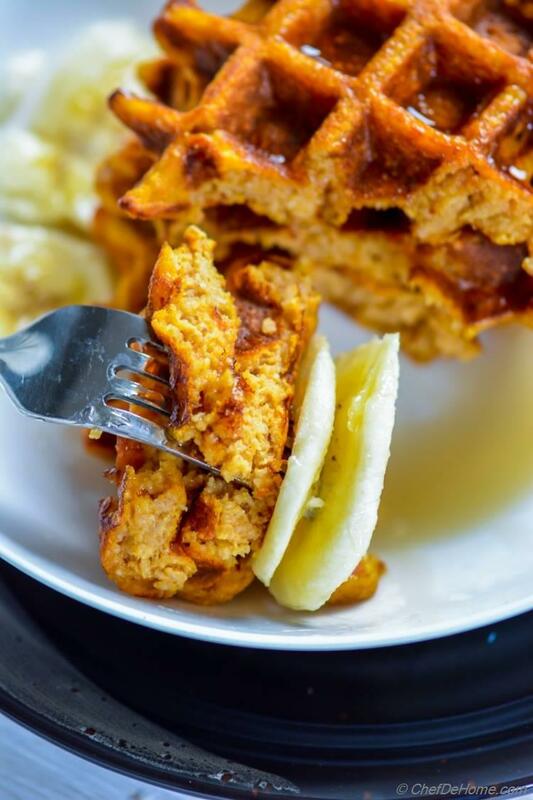 Looking for vegan waffles? 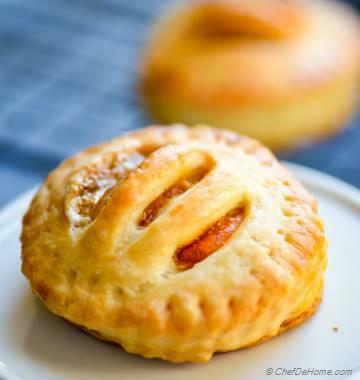 1) Just use an egg substitute and rest everything is already vegan. Or 2) Replace eggs with 1/4 cup chia seeds soaked in 1/2 cup water and use 1/2 tsp baking powder. Hi Deb, thanks for feedback and for sharing your tips. It will be so useful for our CDH community. Hello Savita what does it mean if the inside is not cooked but the outsides are cooking. What can I add? hi Joey, it looks like waffle iron is at very high temp. You can add some dry oats in batter to absorb some moisture so inside cook quickly. I added a bit of flour to make the batter a little less soupy -- next time I might add a little ground flax too. I used cows milk because its what I had. I found they cooked fairly quickly on the Medium setting. They were great and my kids loved them. I'm going to make a big batch to freeze for school lunches. Thanks for the recipe! Hi Cat, I'm glad you enjoyed waffles. Thanks for sharing your experience. 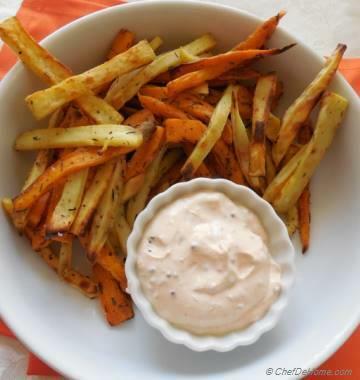 Do you know what the serving size and calorie count for this recipe is? 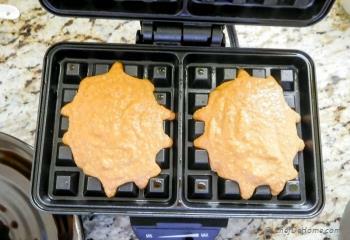 I purchased a waffle maker recently, so I had to try these. So good. I love how creamy the waffles stay in the middle, like a warm comforting bowl of oatmeal. I also sprinkled a bit of cinnamon on top for that extra kick. Again, these are delightful! Thanks, Julia! I'm so glad you enjoyed these waffles. I'm with you on creamy warm oatmeal like center. Also, cinnamon sugar sounds awesome idea. I'm sure trying it whenever I make these waffles again. I appreciate your feedback. thanks. This is such a great idea! 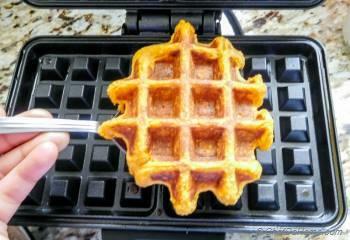 I'm a little obsessed with my waffle maker right now- I'll definitely have to try this! Thanks, Sarah! I'm sure you will really loves these waffles. thanks, Veronica! 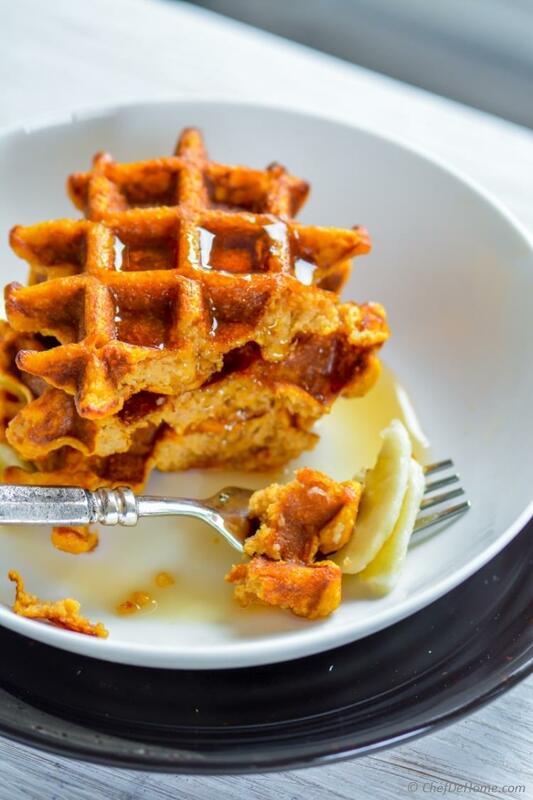 I have added notes below recipe with instructions to make vegan waffles. I usually go with an egg substitute or use soaked chia seeds and a little more baking powder. I hope it helps.